There’s been a lot of chatter (via Twitter and other social media) about the hospital battle going on in Boise, Idaho. More than half of the physicians in town are employed by St. Luke’s Health System or a competitor. Independent physicians have shared allegations of skewed referrals, rising patient costs, and other unfair practices. I’ve never been to Idaho, but after reading several articles about the situation, I find it not much different than what I’m seeing in my own market. Certainly there is some degree of this going on just about everywhere, regardless of whether health systems are non-profit or for-profit. Some control over referrals stems from value-based care initiatives and contracts where providers and their sponsoring institutions assume financial risk. Other moves seem to be merely profit-motivated. In addition to demanding referrals, health systems are demanding that their member physicians refer exclusively to hospital-owned laboratory and ancillary services unless the patient refuses. Patients are left holding the bag, as they may have separate co-pays and/or deductibles for hospital-based (as opposed to reference lab) services. I’ve personally had issues with hospital-based radiology departments whose cumbersome processes take complex registration and billing inefficiencies to a new level when they try to merge the hospital way of doing things with an ambulatory patient’s expectations. The hospital where I am on staff charges a screening mammogram at more than three times the charge of the freestanding radiologist-owned imaging center (which also provides private waiting areas and on-site immediate results as well as being a bargain). Since I’m on an insurance plan where I have a fixed amount of money to spend on preventive services, guess where I’m headed? Let’s also talk about provider-based billing, where the hospital assumes control of a practice, names it a “hospital outpatient clinic,” and starts billing a facility fee in addition to the fee for provider services. I experienced this recently when a minor dermatology procedure (for which my ambulatory practices charge about $100) showed up on my bill as several hundred dollars because it was performed by a member of the medical school faculty. Practically speaking, her practice is no more a “hospital department” than mine is – despite the hospital’s assertion that Joint Commission accreditation and being part of a monstrous bureaucracy merit a different charge structure. Unfortunately, overcharging individual procedures and services is just the tip of the iceberg. CBS ran a story this weekend on Health Management Associates. The story alleges coercion of emergency department physicians to admit patients who didn’t require admission. An interesting component includes the use of a software program to order extensive panels of tests on patients based largely on their ages rather than their presenting complaints or histories. It’s a fair bet that other organizations could be accused of the same thing. Although my hospital’s emergency department intake process contains numerous wasteful components (like performing suicide screening on every patient who walks through the door – even a three-year-old needing stitches from tripping into a coffee table) I’ve never been pressured to increase admissions. Frankly, I’m not sure where we’d put them, as we’re constantly waiting for beds upstairs and end up boarding patients in the ED hallways. In my opinion, our major source of waste is the practice of defensive medicine, which results in overuse of tests and imaging because physicians are afraid they’ll be sued if they miss something. Earlier in my career when I was in full-time primary care practice, I experienced a lot of pressure. The first few years it was personality-driven: the chief of staff complained I wasn’t referring enough to him. In fact, I was referring to one of his junior partners who started at the hospital at the same time I did and with whom I had better rapport. The hospital continued to reinforce that they wanted to earn our business and our referrals, even to the point of purchasing a high-quality competitor specialty practice to whom most of our primary care practices referred. Once they were in the corporate fold, however, referrals were expected and even demanded. No matter how recently we completed training, this certainly isn’t what any of us signed up for. 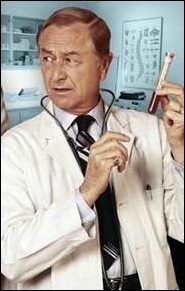 I’m not delusional enough to think that Marcus Welby is still out there somewhere, but there has to be something better than this. Have a story about a health system that earns its referral business rather than demanding it? E-mail me. I don’t understand why physicians are not screaming about this from the rooftops. It is a blatant attempt by hospitals to gouge the system; patients, insurance companies, and government payers all lose. It accelerates the pace of hospital buy-ups of physician practices, with no benefit to the docs or the patients. It will significantly increase Medicare costs and make it look like “the greedy doctors” are charging more, to the untrained eye. As you say, it is the tip of the iceberg…if they can get away with this blatant practice, the more subtle techniques you point out will certainly follow. I’m not even sure what to say at this point anymore… “Tip of the iceberg” sort of thing, or “what did we all think was happening” sort of thing? Cost shifting is outrageous in the oncology space. Hospitals are buying up independents left and right and charging twice as much in an already expensive specialty. Just ridiculous. I agree with you, bust ask, how’d we get to such a mess? It all started in 1966 with Medicare Part A & B. You can blame AHA, AMA (and the congress and the million dollar lobbyists ). And as a former CFO I can think it makes for a very good argument for ACOs and bundled payments. And also…Marcus Welby is dead, literally and figuretively. And when was the last time you saw an MD hold a serum vial in there hands? ?